Demetri Terzopoulos FRSC FRS is a Professor of Computer Science in the Henry Samueli School of Engineering and Applied Science at the University of California, Los Angeles, where he directs the UCLA Computer Graphics & Vision Laboratory. Terzopoulos was educated at McGill University where he was awarded an Honours Bachelor of Engineering degree in 1978 and a Master of Engineering degree in 1980, both in electrical engineering. He went on to study at the Massachusetts Institute of Technology, where he was awarded a PhD in 1984 for research on the computation of visible-surface representations, advised by Shimon Ullman and J. Michael Brady. Following his PhD, Terzopoulos was a research scientist at the MIT Artificial Intelligence Laboratory, a program leader at Schlumberger research centers in California and Texas, Professor of Computer Science and Electrical & Computer Engineering at the Dynamic Graphics Project of University of Toronto, and Professor of Computer Science and Mathematics at the Courant Institute of Mathematical Sciences of New York University where he held a Lucy and Henry Moses Endowed Professorship in Science. He then moved to UCLA, where he has been Chancellor’s Professor of Computer Science since 2005 and Distinguished Professor since 2012. Terzopoulos has also held adjunct, visiting, consultancy, and part-time positions at Schlumberger, IBM, Digital Equipment Corporation, Intel, Bell-Northern Research, the National Research Council (Canada), the University of Ontario Institute of Technology, and Paris Dauphine University. Terzopoulos' research interests are in computer graphics, computer vision,  medical imaging, computer-aided design, and artificial intelligence/life. 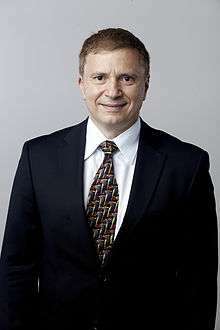 Terzopoulos has served on advisory committees at DARPA (United States), the National Science Foundation (United States), the National Institutes of Health (United States), the National Academies (United States), the Natural Sciences and Engineering Research Council (Canada), and the Max Planck Institute for Informatics (Germany). Terzopoulos is or was a Guggenheim Fellow, a Fellow of the Association for Computing Machinery (ACM), the Institute of Electrical and Electronics Engineers (IEEE), the Royal Society, the Royal Society of Canada, and the Canadian Institute for Advanced Research, and a member of the European Academy of Sciences, the New York Academy of Sciences, and Sigma Xi. In 2013, at the International Conference on Computer Vision (ICCV), Terzopoulos was awarded a Helmholtz Prize for his 1987 ICCV paper with Kass and Witkin on active contour models. In 2007, at the International Conference on Computer Vision (ICCV), Terzopoulos was awarded the inaugural IEEE PAMI Computer Vision Distinguished Researcher Award for "pioneering and sustained research on deformable models and their applications". In 2006, at the 78th Academy Awards, Terzopoulos won an Academy Award for Technical Achievement from the Academy of Motion Picture Arts and Sciences with John Platt for "their pioneering work in physically-based computer-generated techniques used to simulate realistic cloth in motion pictures." 1 2 Terzopoulos, Demetri (1984). Multiresolution computation of visible-surface representations (PhD thesis). Massachusetts Institute of Technology. OCLC 12379782. 1 2 Vasilescu, M.A.O. ; Terzopoulos, D. (2002). "Multilinear Analysis of Image Ensembles: TensorFaces". Computer Vision — ECCV 2002 (PDF). Lecture Notes in Computer Science. 2350. p. 447. doi:10.1007/3-540-47969-4_30. ISBN 978-3-540-43745-1. 1 2 Vasilescu, M.A.O. ; Terzopoulos, D. (2003) "Multilinear Subspace Analysis for Image Ensembles, Proc. Computer Vision and Pattern Recognition Conf. (CVPR '03), Vol.2, Madison, WI, June, 2003, 93-99. 1 2 Vasilescu, M.A.O., Terzopoulos, D. (2004) "TensorTextures: Multilinear Image-Based Rendering", Proc. ACM SIGGRAPH 2004 Conference Los Angeles, CA, August, 2004, in Computer Graphics Proceedings, Annual Conference Series, 2004, 336-342. 1 2 Vasilescu, M.A.O. ; Terzopoulos, D. (2007). Multilinear Projection for Appearance-Based Recognition in the Tensor Framework (PDF). IEEE 11th International Conference on Computer Vision. pp. 1–8. doi:10.1109/ICCV.2007.4409067. ↑ Terzopoulos, D.; Waters, K. (1990). "Physically-based facial modelling, analysis, and animation". The Journal of Visualization and Computer Animation. 1 (2): 73. doi:10.1002/vis.4340010208. ↑ Terzopoulos, D.; Fleischer, K. (1988). "Modeling inelastic deformation". Proceedings of the 15th annual conference on Computer graphics and interactive techniques - SIGGRAPH '88. p. 269. doi:10.1145/54852.378522. ISBN 0897912756. ↑ Terzopoulos, D.; Fleischer, K. (1988). "Deformable models". The Visual Computer. 4 (6): 306. doi:10.1007/BF01908877. ↑ Tu, X.; Terzopoulos, D. (1994). "Artificial fishes". Proceedings of the 21st annual conference on Computer graphics and interactive techniques - SIGGRAPH '94. p. 43. doi:10.1145/192161.192170. ISBN 0897916670. ↑ Terzopoulos, D.; Platt, J.; Barr, A.; Fleischer, K. (1987). "Elastically deformable models". ACM SIGGRAPH Computer Graphics. 21 (4): 205. doi:10.1145/37402.37427. ↑ Lee, Y.; Terzopoulos, D.; Walters, K. (1995). "Realistic modeling for facial animation". Proceedings of the 22nd annual conference on Computer graphics and interactive techniques - SIGGRAPH '95. p. 55. doi:10.1145/218380.218407. ISBN 0897917014. ↑ Terzopoulos, D.; Waters, K. (1993). "Analysis and synthesis of facial image sequences using physical and anatomical models". IEEE Transactions on Pattern Analysis and Machine Intelligence. 15 (6): 569. doi:10.1109/34.216726. ↑ Kass, M.; Witkin, A.; Terzopoulos, D. (1988). "Snakes: Active contour models" (PDF). International Journal of Computer Vision. 1 (4): 321. doi:10.1007/BF00133570. ↑ McInerney, T.; Terzopoulos, D. (1996). "Deformable models in medical image analysis: A survey". Medical Image Analysis. 1 (2): 91. doi:10.1016/S1361-8415(96)80007-7. PMID 9873923. ↑ Terzopoulos, D.; Metaxas, D. (1991). "Dynamic 3D models with local and global deformations: Deformable superquadrics". IEEE Transactions on Pattern Analysis and Machine Intelligence. 13 (7): 703. doi:10.1109/34.85659. ↑ Terzopoulos, D. (1988). "The computation of visible-surface representations". IEEE Transactions on Pattern Analysis and Machine Intelligence. 10 (4): 417. doi:10.1109/34.3908. ↑ Terzopoulos, D. (1986). "Regularization of Inverse Visual Problems Involving Discontinuities". IEEE Transactions on Pattern Analysis and Machine Intelligence (4): 413. doi:10.1109/TPAMI.1986.4767807. ↑ Terzopoulos, D.; Witkin, A.; Kass, M. (1988). "Constraints on deformable models:Recovering 3D shape and nonrigid motion". Artificial Intelligence. 36: 91. doi:10.1016/0004-3702(88)90080-X. ↑ "Professor Demetri Terzopoulos FRS". London: The Royal Society. Archived from the original on 2014-09-10.